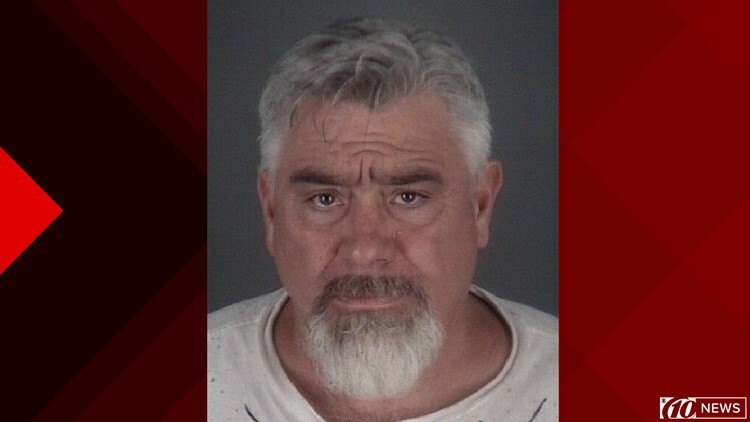 BROOKSVILLE, Fla. — Pasco deputies arrested a Brooksville man accused of 'intentionally' spraying his neighbor with a pressure washer Friday. "I had occasion to investigate a domestic disturbance," the arrest affidavit began. Deputies say Johnny Plaster Jr., 52, came out of his house on Somerset Acres Lane and started up his pressure washer while his neighbor was also outside 'weed blowing' his yard. As the neighbor walked towards the front of his property, Plaster sprayed him with the pressure washer 'without his consent,' according to an arrest affidavit. The pressure sprayer caused dirt and water to hit the neighbor in the face and upper body, deputies say. Surveillance video showed Plaster approach his neighbor and spray him with the pressure washer, according to the arrest affidavit.